Do Beneficiary Designations Really Matter After Your Second Marriage? Your estate planning documents certainly need to be updated after you get married for a second or third time, but have you overlooked this common mistake of failing to update your beneficiary designations. 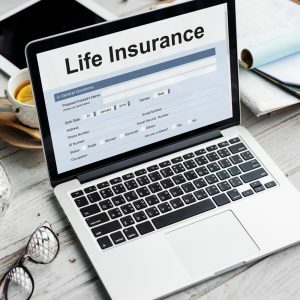 Beneficiary designations outline how the property will pass to people on items such as your life insurance policy, your IRA and certain brokerage accounts. If you do not know this information or have not updated it in a long time, there’s a good chance that your previous spouse or another person who is no longer relevant or alive is the person named as your beneficiary. No matter what you have listed in your will, the information included on these beneficiary designations supersedes that. This means that if you have painstakingly detailed what you hope to happen to these property items when you pass away, the beneficiary designations filed with the company, regardless of how old they are or irrelevant, will still be followed to the letter by the company. This is why you need to protect yourself by regularly updating your beneficiary designations. It’s also a good idea to consider contingency beneficiaries. Contingency beneficiaries are those who are entitled to receive the assets inside these products if the original beneficiary passes away. Most people forget about the facts that someone who is listed as their beneficiary, even a child, might pass away before them and make the difficult situation of no one receiving these benefits or further confusion and problems. Schedule a consultation with an experienced estate planning lawyer if you are ready to talk about your options with regard to effective primary and contingent beneficiary estate planning and how to regularly evaluate and remind yourself about updating the beneficiary designation forms.